The digital revolution (started anywhere from the late 1950’ s to the late 1970’ s) continuously drives business innovation and growth. In 2018 we expect technology advancement and the evolving social norms to move the world at an accelerated pace. 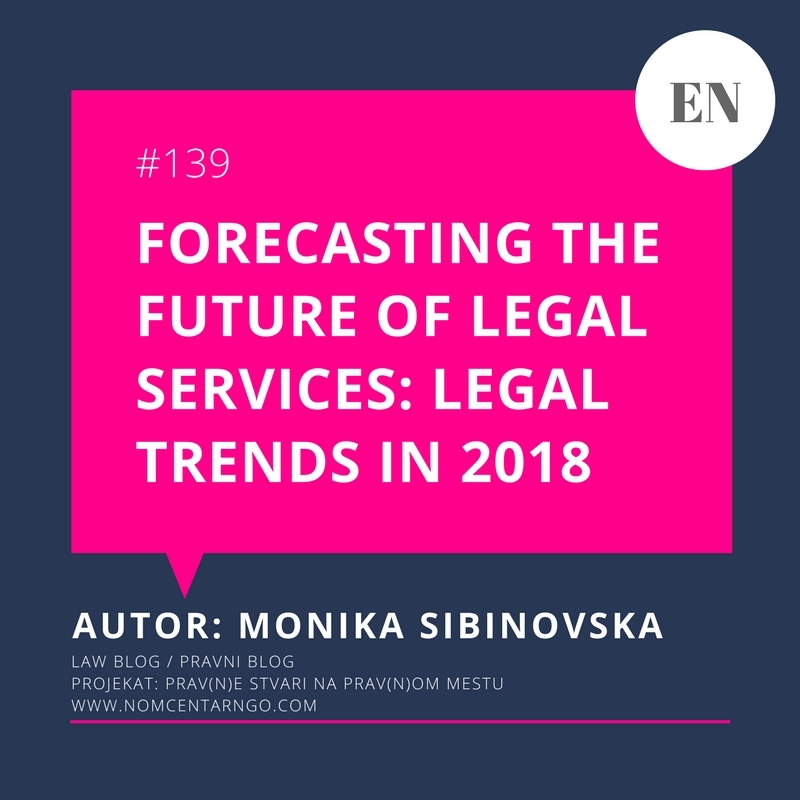 Purposely, we selected the major trends in 2018 with the aim to foresee the shifts that they will bring into legal practice, profession and environment. As decentralization communication systems lead to the creation of the Internet, today the blockchain has the potential to decentralize the way we store data and manage information. Blockchain technology enables the creation of decentralized currencies, smart contracts (self-executing digital contracts) and smart property. The blockchain also enables the development of new governance models which are more democratic, participatory, and autonomous organizations that can operate over a network of computers without any human intervention. This decentralized technology will lead to expansion of a new law subfield, which is defined by Aron Wright and Primavera De Filippi as “Lex Cryptographia”: rules administered through self-executing smart contracts and decentralized (autonomous) organizations. As blockchain technology becomes widely adopted, centralized authorities, such as governmental agencies and large multinational corporations, could lose the ability to control and shape the activities of disparate people through existing means. They have foreseen that as a result, there will be an increasing need to focus on how to regulate blockchain technology and how to shape the creation and deployment of these emerging decentralized organizations in ways that have yet to be explored under current legal theory. Over the years the costs of communication had decreased, as a result many of the transnational and multinational companies have found economic benefits to oversee “unspecialized” legal processes to countries with low labor costs. Since 2008, Legal Processes Outsourcing has become solid market – in fact India is the country were most of the LPO is done, because of the low labor cost and skilled, high educated professionals on the other side. According to one research, by 2020 the LPO market could be worth $8.6 billion. In 2018 is foreseen that LPO model will still be booming as a result of the demand form clients for quality, efficient and expedient legal services with low transactional costs. So don’t be surprised if you are (as legal professional) offered to work from Serbia for company in UK on reviewing the company’s NDA contracts with Singapore ‘s clients. The legal services are becoming global. The stakeholders are actively considering the impact that the General Data Protection Regulation will bring, by which the European Parliament, the Council of the European Union and the European Commission intend to strengthen and unify data protection for all individuals within the European Union. The GDPR focus on technology is much more explicit than the Data Protection Directive (GDPR’s predecessor) with the goal to dive in data protection principles into technology and ensure the technology environment can protect individuals ‘rights. On the other hand, the ePrivacy Regulation (that will repeal ePrivacy Directive 2002/58/EC) is expected to become enforceable on the same data with GDPR. The ePrivacy Regulation is GDPR’ s Lex specialis and its scope will apply to any business that provides any form of online communication service, that utilises online tracking technologies (as cookies and opt-out options), or that engages in electronic direct marketing. Present, our society is data driven society, and our economy is data driven economy. Already in the civil sector is enlarging the awareness on protecting sensitive data which will lead to genesis of formal and informal groups with the goal to educate, protect and promote a culture for the protection of personal/sensitive data and privacy. To sum up, all of the above mentioned will increase the controller’s liability to carry out an active role on securing error–free technical organizational measures and impeccable compliance to protect the sensitive data that they collect and process. The data & privacy compliance is already seen as (a new) legal service by the traditional lawyers, but they should be quite vigilant on how they will provide the service to the client, because is already seen to, as cutting – edge service that can be offered to multiply client form deferent countries, id est, as a service that can be commoditized through technology. Regarding mentioned, the data & privacy compliance will be mould for innovative legal technology products and ICT solutions, which will lead to minimization or elimination of need to consult a lawyer. Тhe innovations in the legal markets are driven by the new technologies aiding automation, commodity, efficiency and reducing the cost of the legal services. Since 2011, the legal technology industry is rapidly changing the traditional legal business with help of AI, chatbots, Blockchain and etc., with the deference that in the past few years the focus of the legal tech products is set on automating a range of standard legal tasks, moving toward supporting more bespoke, specialized activities done by lawyers, instead of disrupting the practice of law by giving people access to online software that reduces or eliminates the need to consult a lawyer. Arteficial Inteligence is up to date, some of as are delighted from its abilities, and there are others concerned with its potencies, meanwhile on the legal technology market already exist more than 40 companies – pioneers (like Ross, Ravel, Brightflag, Legal Robot, Catalyst, LegalSifter, TrademarkNow etc.) that produce software to applicate the AI in legal work for drafting and reviewing contracts, mining documents in discovery and due diligence, answering routine legal questions or sifting data to predict outcomes. Likewise, the impressive advancement in NLP (neuro – linguistic – programing) and machine deep learning technics will be still warming up the 2017’s interest for use of intelligent chatbots in legal work and delivering legal services. Globalization has pushed a lot of the innovation in this past few years, attest is the fact that there has been a 484 % increase in the number of patents filed covering new legal services technology globally in the past few years. To close up, the KPI’s (key performance indicators) for forecasting the future of law and legal services are around as, starting by observing the behaviour of the technology native millennials (as future clients and legal professionals) to the resent shipping of the first self-driving car into the Space (as the human’s unlimited possibilities). The legal services automation is inevitable. 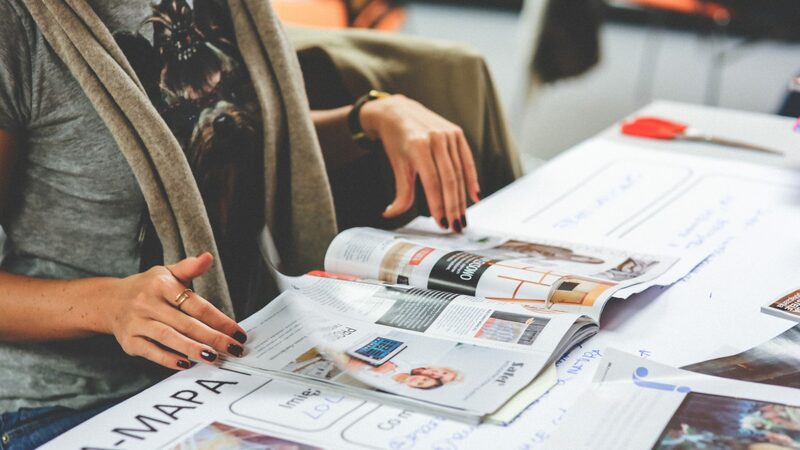 In fact, the legal services cannot be longer conserve behind the back drop of traditional way of doing legal work, which is filled with formality and somewhat pattern work. The Legal market should be liberal and competitive, driven by innovation, which will cause reduction on prices for legal services – which clients will be thankful for. Monika Sibinovska was born 1991 in Skopje, Macedonia. She received the bachelor degree in Law in 2012, and mastered in the field of business law / trade law in 2014 at the Faculty of Law “Iustinianus Primus”, University “Sts. Cyril and Methodius” in Skopje. She works as in-house counsel with expertise in trade law, labor law and data protection regulation. Alongside with she is organizer of “Skopje Legal Hackers” – a local chapter of the global movement Legal Hackers form New York and actively participate in projects and researches in the field on legal risk management, legal informatics, legal design and online dispute resolution. Моника Сибиновска е родена 1991 година во Скопје, Македонија. Дипломира право во 2012 година, а магистрира во областа на деловно право / трговско право во 2014 на Правниот Факултет „Јустинијан Први“, Универзитет „Св.Кирил и Методиј“ во Скопје. Работи како корпоративен правник со експертиза во трговско право, трудово право и регулативата за заштита на личните податоци. Паралелно со ова, таа е огранизатор на “Skopje Legal Hackers” – локално поглавје на глобалното движење Legal Hackers од Њујорк и активно учествува во проекти и истражува во полето на менаџментот со правен ризик, правна информатика, правен дизајн и онлајн резрешување на спорови. Korišćenje delova teksta dozvoljeno je shodno autorskom pravu i uz saglasnost Udruženja Nomotehnički Centar kao i autora: Monika Sibinovska.